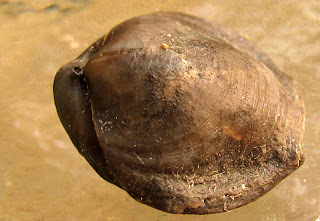 This post is about the Athyris brachiopod fossil. The brachiopod existed in the Devonian Period (416-359 million years ago). The picture of three brachiopods above are from Clark County, Indiana found in the Speed Member of the North Vernon Limestone. 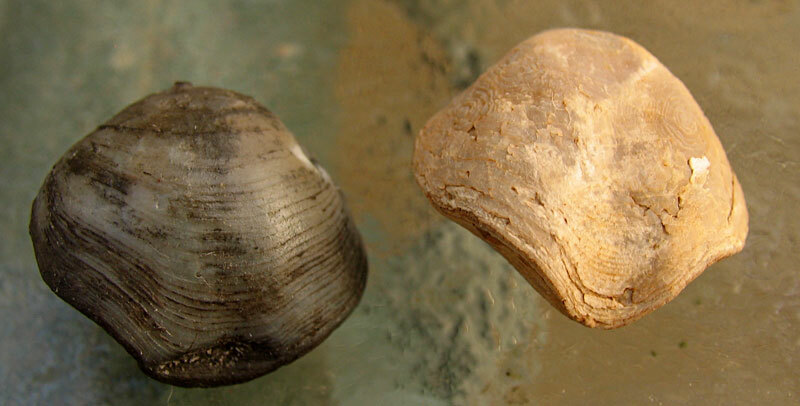 The two brachiopods shown below are from the Glenshaw Formation of Alpena County, Michigan. 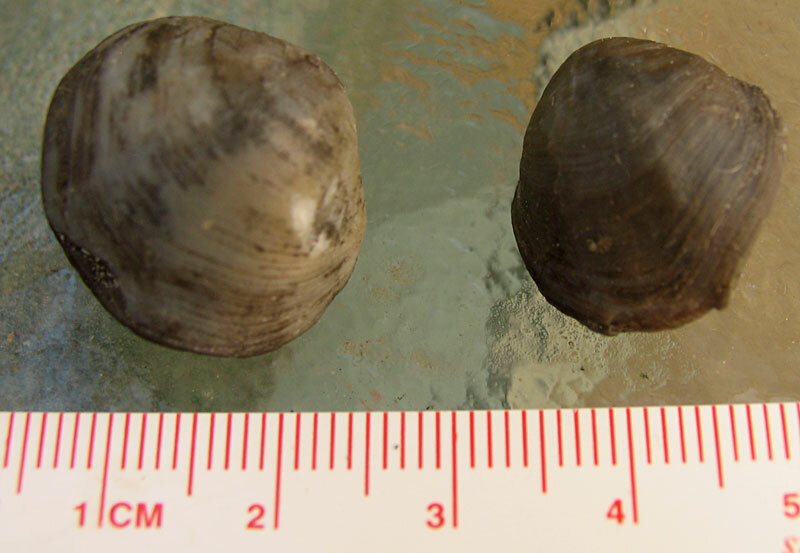 Next picture is of the Athyris vittata brachiopod from Michigan. These last three pictures are of the Michigan and Indiana Athyris side by side. It appears to me that the ones from Indiana might be molds or worn because they do not show the growth lines of the specimens from Michigan. The difference in color is also of interest. Why are the Michigan fossils black? Were they in some sort of shale? 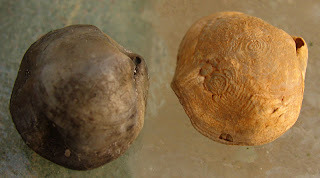 This last picture of the Indiana Athyris brachiopod (one on right) really shows the beekite patterns. UPDATE: Jeepers! I forgot to thank Dave over at Views of the Mahantango for sending me the brachiopods from Michigan shown in this post.